Earlier this week, Google released a new version of its earth viewer programme Google Earth – a stable BETA 4 which I just had to download and try out. 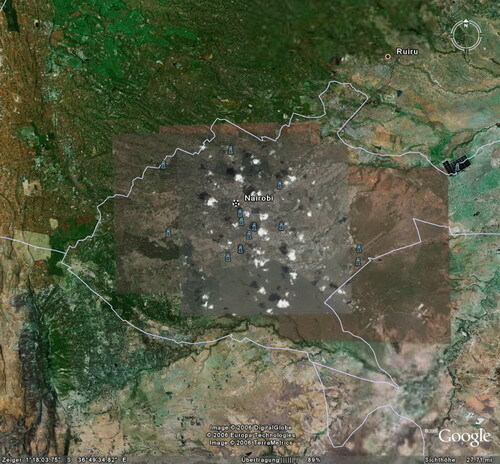 For downtown Nairobi, the guys running the image database added a CLOUDY satellite image – which is still better than what we had some time ago. 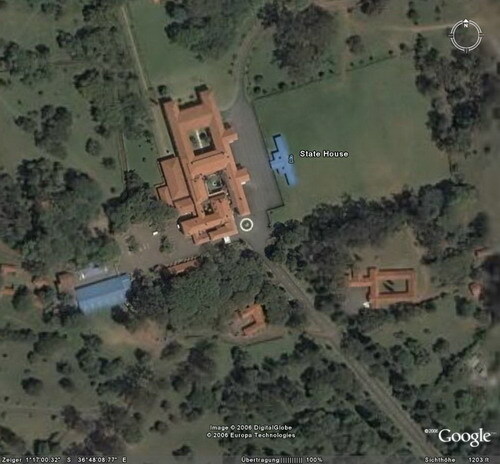 Now let’s have a look at Nairobi State House…. 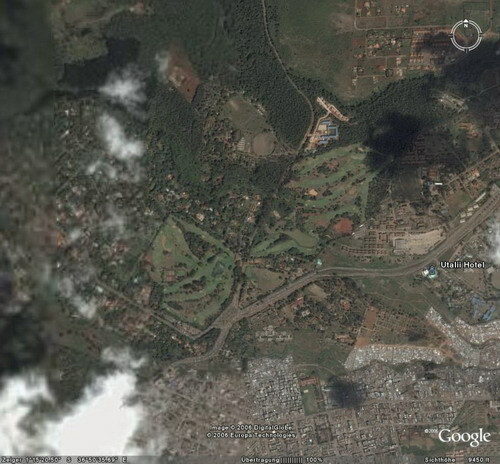 Google Earth is also perfect for tracking down the various swimming pools all over Nairobi. Something that might come in handy while in Nairobi, in search for an open swimming pool. After all, not all pools are private (which of course reminds me of Mbuzimoja & me trying to find an open pool in NBO as late as 8pm – the only place open till 9pm is….THE GRAND REGENCY HOTEL, which charges Kshs. 1.000 /= pp….aterere…). Good find. I’ve downloaded this newest build and will continue to play with it. I love how much of an improvement it is! I also thought of posting some new good quality pictures some days ago. Yeah, right, much improvement with the new beta. Sadly they’ve only got the view and not the balcony in good quality – yet. I was surprised to find out that Nairobi Safari Club had a pool that was open to the public for about 500bob a pop. That was way back though, I am not sure what it costs now. I think that I will give Google Earth another shot, it was fun but I really could not figure out anything useful to do with it. Where can I find the high res Kenyan maps. By the way, do you know about Microsoft’s Terra Server? Eh, but the TerraServer doesnt cover Kenya yet, ama? The highres maps will load automatically on GE.